Chamonix Experience is a mountain guide, ski guide and adventure company based in the Chamonix Valley, at the foot of the Mont Blanc Massif. Established in 1996, we have been organising guided trips and adventures for over 20 years. We work in close relationship with more than 20 highly qualified UIAGM / IFMGA mountain guides, each with many years of experience guiding worldwide and actively climbing and skiing themselves. Chamex offers a wide range of courses and private guiding in Chamonix, Verbier, and Courmayeur. We also venture further away guiding clients on ascents of the Matterhorn, Eiger, Gran Paradiso and other 4000m peaks in the Alps. Our activities include off-piste ski clinics, guided ski touring, mountaineering courses, rock climbing and ice climbing. We organise private guiding for individuals as well as groups - from one day trips to week long expeditions. Tell us your goal and we will make it happen. 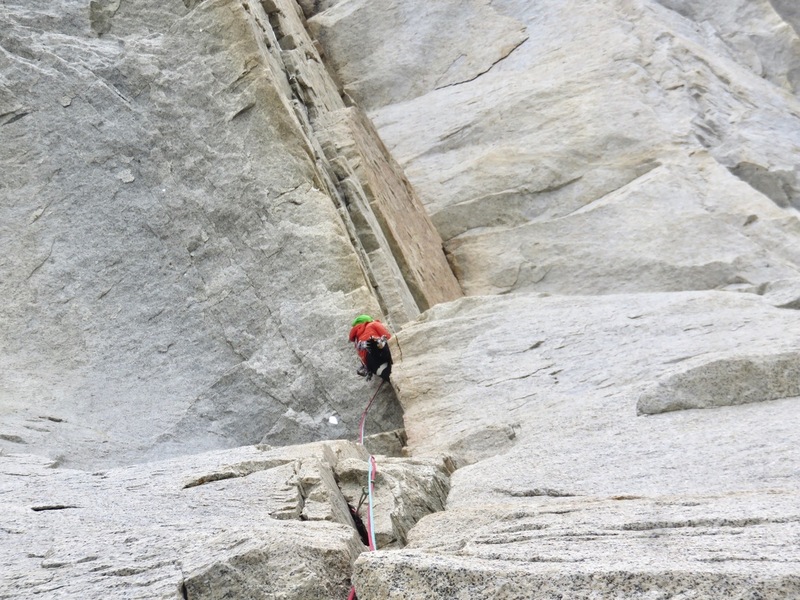 Chamonix is not all about skiing and winter sports - there are endless possibilites for summer activities as well! 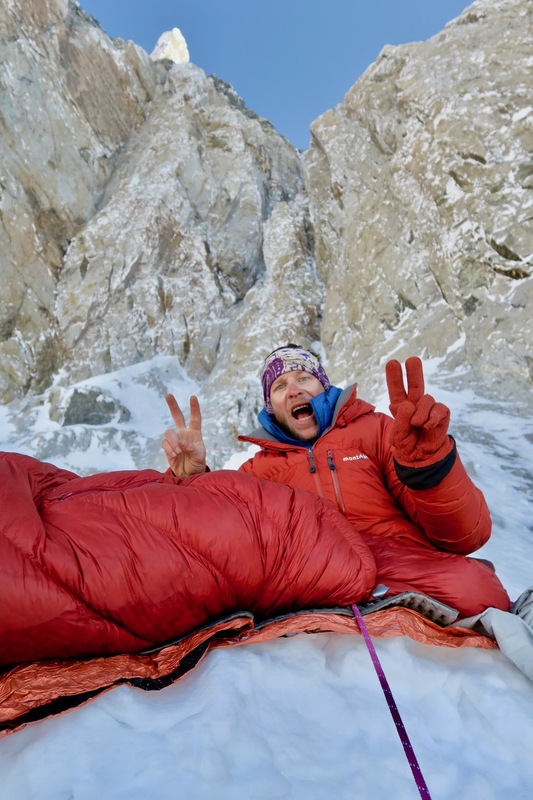 The ultimate mountaineering expedition and a once in a lifetime experience! At 4809m Mont Blanc is not only the highest peak in the Alps but is also the biggest mountain in Western Europe. However, with the right training and guidance it is an achievable summit for anyone with a good level of fitness and a strong will. Our 6 day climb Mont Blanc course will prepare you with all the skills you need to get to the summit and look out over one of the finest mountain views in the world. Towering over the peaks of the French, Italian and Swiss Alps, Mont Blanc actually borders both France and Italy. If you prefer to go off the beaten track, you can reach the summit of Mont Blanc via the lesser known Italian route. Slightly longer and more technical than the classic French route, with no support from lift systems, it is one for the alpine purists who are looking for a more traditional experience. We also offer 3 day climb Mont Blanc courses for experienced and acclimatized mountaineers, and bespoke itineraries for private groups, so please don't hesitate to get in touch to start planning your trip. Explore this iconic multiday hike from Chamonix to Zermatt, passing through some of the most beautiful places in France and Switzerland along the way. You can opt for the classic two week tour, or our shorter one week version that takes in all the highlights. Either way, you'll experience the Alps in all their glory as you hike past glaciers, through pine forests, and across flower-filled meadows. Both tours are fully guided and your luggage will be transported between hotels, leaving you with no more to think about than enjoying every moment. Discover the tracks and trails of three beautiful countries on a multiday hiking tour around Mont Blanc Massive. This trip can be done in either one week or 12 days, staying overnight in remote mountain huts and traversing stunning valleys as we pass through the different regions. The trip is fully guided and all logistics are taken care of by our dedicated team based in Chamonix. Our Chamonix off-piste ski courses for winter season 2019-2020 are already online. Of course, we will also be offering our fully guided Vallee Blanche ski trips on the most mythical off-piste ski run in Europe. A fantastic day out in one of the world's most famous off-piste ski areas, you'll start from the very top of the Aiguille du Midi at 3842m then ski down past stunning seracs, ice falls, crevasses and towering peaks back down to Chamonix. Although experienced off-piste skiers will enjoy an incredible outing, this route is also open to less confident off piste riders thanks to our Vallée Blanche preparation course. This one day course, usually held at Les Grands Montets, will help refine your off-piste skiing and get your skills up to scratch so that you will be fully prepared for your descent of the Vallée Blanche. Whether you're an expert or an intermediate off-piste enthusiast, skiing the Vallée Blanche is a "must do" Chamonix experience - come and join us! Explore the backcountry on one of our regular Ski Touring Introduction Courses, we'll take you far from the packed pistes and lift queues to discover untouched snow and peaceful descents on our favourite Chamonix ski touring routes. You'll learn how to skin, kick-turn, use couteaux ski crampons, and much more. Once you've mastered the basics, you can join us on one of our ever-popular Chamonix Ski Mountaineering course, 5 days of exploring the famous backcountry ski touring routes of the Mont Blanc valley. Snowboarders are invited to give Splitboard Touring a try, we offer a 5 day course that will prepare you for long days out in the mountains on all sorts of terrain. 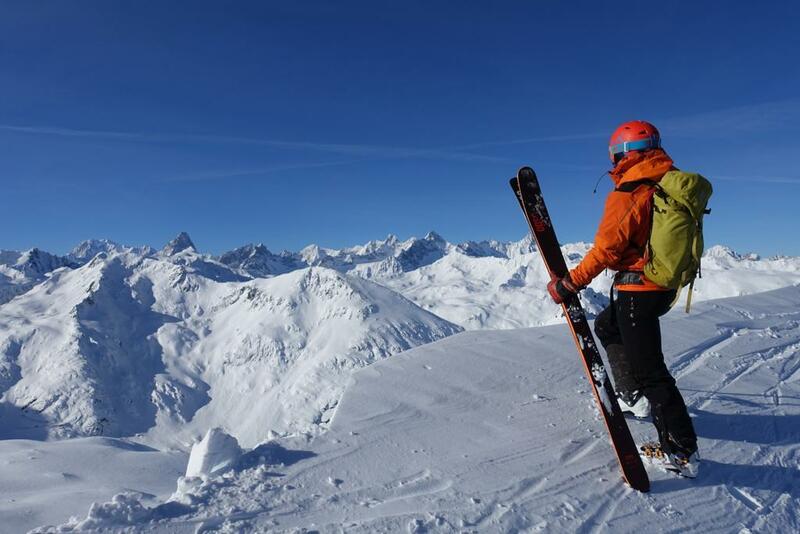 For a truly memorable experience, we offer various multiday ski tour trips such as the Haute Route from Chamonix to Zermatt, Silvretta, La Meije and Monte Rosa & Breithorn. Our Early Season Ski Clinic is packed with essential winter skills. Get your legs ski-ready and dust off your freeride skills with our expert ski instructors. Refresh your avalanche awareness and crevasse rescue skills with our experienced UIAGM mountain guides. Everything you need for an amazing winter, right here in Chamonix. Our ever popular Off-Piste Introduction Courses and Off-Piste Performance Courses will be running all winter, taking you from off-piste novice to powder-skiing expert right here in the legendary Chamonix backcountry terrain. Take your freeride skills to the next level with our Steep Skiing Course on the famously steep faces and incredible couloirs of Chamonix - these courses fill up quickly so check the availability and book your place right now! Snowboarders have their own dedicated Chamonix Freeride and Splitboard Touring courses, taught by specialist snowboard instructors and mountain guides who will show you the very best of our incredible valley while developing your skills on the board. Chamonix is a fantastic destination for groups or teams to explore. Challenge yourselves with some of the best activities that Chamonix has to offer, and enjoy the many attractions & incredible views & of the Mont Blanc Massif. We can organize everything from the minute you arrive in Chamonix including transport, accommodation, activities and special events. We've worked with a number of prestigious clients who have all been delighted with their experience; contact us to find out more. The 8th edition of the Arc’teryx Alpine Academy will take place here in Chamonix Mont Blanc, France. Over 450 mountain enthusiasts from 30 countries to celebrate alpinism, share their knowledge and advance their mountain skills. We are pleased to give a big shout out to our new partnership at OGSO. 2018 will be the winter we start riding our new OGSO skis! OGSO skis have been shaped by the mountaineering passion and experience of its founder and his team. The skis are specially designed and made with mountaineering in mind, which is an obvious and perfect match for our team at Chamonix Experience. Our mountain guides have been equipped with skis designed for various mountain disciplines from ski mountaineering & ski touring to freeride. Through this new partnership, we hope to offer our expertise to help the team at OGSO continue to evolve and develop their collection, reflecting new technologies and the experience and needs of the mountaineers using them out on the hill. 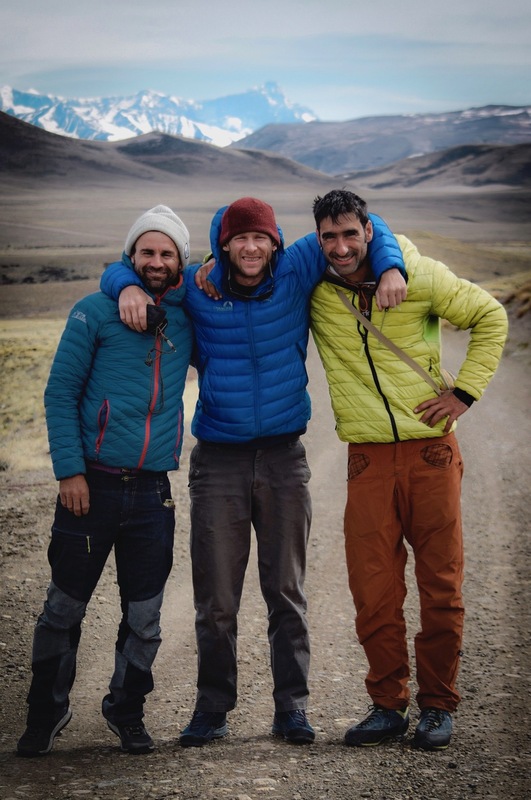 A great achievement by 3 of our Chamex team guides in Patagonia this autumn! After a previous failed attempt the year before in 2017 due to bad weather, our Guides Martin Elias, Jerome Sullivan and Francis Poncet’s came back for another bite of the apple. A few more storms later, the window they were looking for finally arrived and their patience and determination was rewarded with a successful first ascent in Alpine style vie La Milagrosa (1200m, A3, M7, 6a). 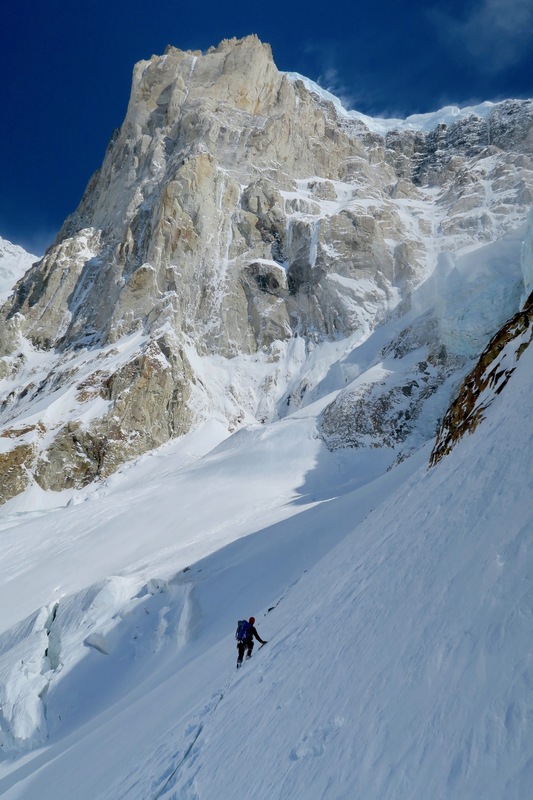 A completely new route on a previously unclimbed peak Cerro El Faro in October 2018. You can read more about their wild and remote adventures here on Jerome’s blog. 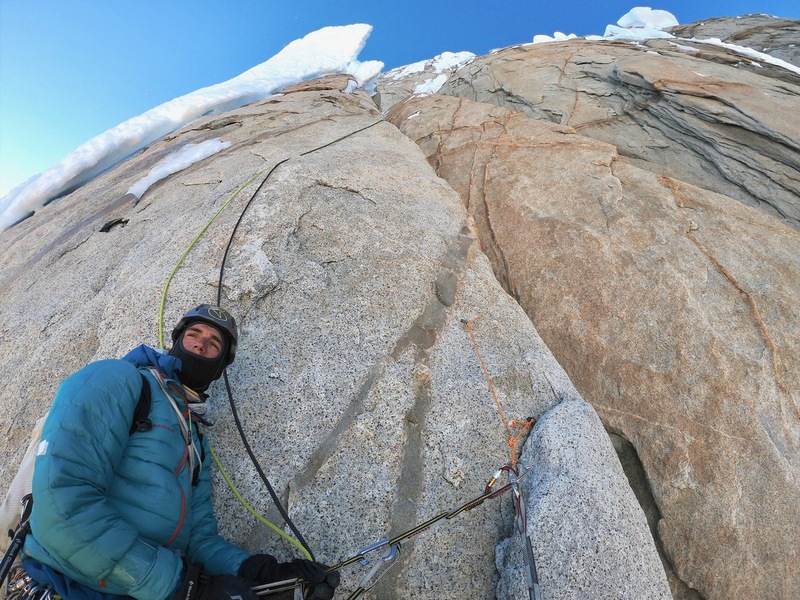 The dream of a lifetime to open a route un the one and only Cerro Torre in Patagonia. A crazy mountain dubbed the scream of stone. Together with my two Argentinian friends Tomy Roy Aguilo and Jorge Ackerman we made a few attempts during a recent trip. We explored the right side of the huge East face and continued up the North face which is very exposed to the violent Patagonian winds and encrusted with snow mushrooms. We climbed for two nights and a day, resting only during the warmest hours of the day to find a shelter from the many falls of ice debris above us. After 850 mt of new route many spicy pitches, at the base of the imposing headwall, we gave up due to the increasing dangers and the arrival of the bad weather. 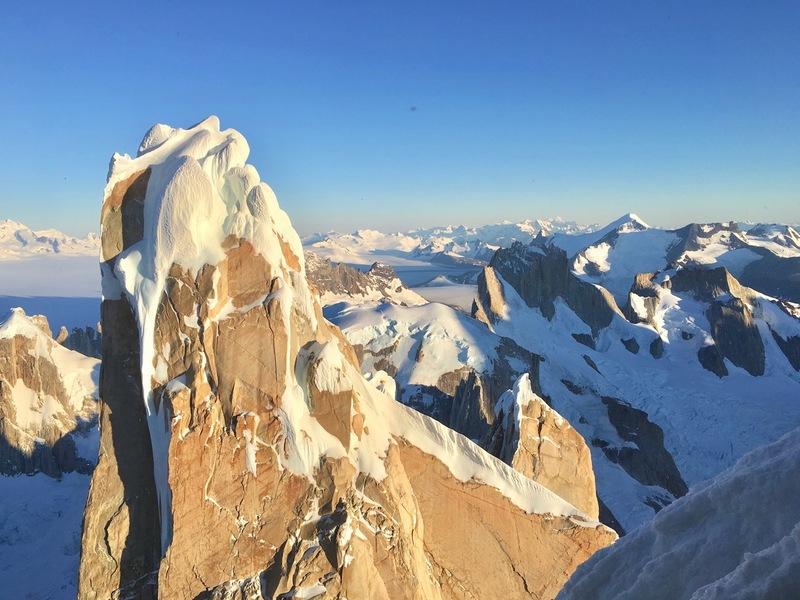 The dream is still there and we're all still here living the dream of climbing this amazing route up our beloved Cerro Torre. Are you thinking about safety? We are! Our 2019/2020 course dates are alredy online. Join one of our avalanche safety courses. AIARE level 1 provides a solid foundation in avalanche knowledge and skills. AIARE Rescue Course is focused on rescue practice including the transceiver skills, shovelling methodology, single and multiple burials and rescue response drills. Chamex Avalanche Awareness Course is a great course introducing the avalanche safety skills.